How many classic nursery rhymes can you remember? 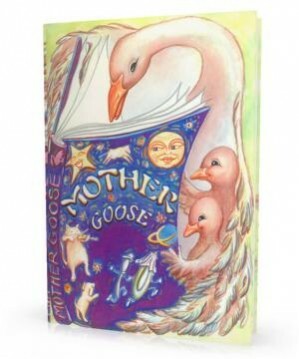 Mother Goose is a treasured memory for children who grew up listening and reciting her rhythmic tales. Now even better with personalization, this storybook includes your child and his/her friends as the characters in these famous rhymes. Here's a great bedtime book your child will want you to read to them over and over. This is an ideal gift for birthdays or children attending their first day of school.